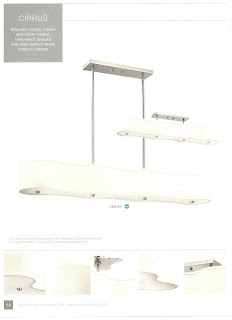 These pictures may be hard to see ~ if you want to learn more, you can go to http://www.hinkleylighting.com/ and look at New Products. This family is called Cirrus. Check out the decorative canopy that comes with #3805BN and 3804BN. 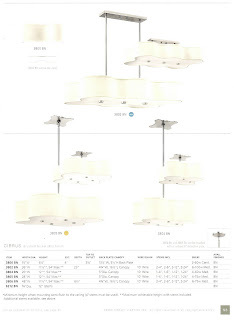 And Hinkley is so smart ~ they also include a regular, round canopy, plus they give you the hardware to mount them close to the ceiling OR on stems as a pendant. Very clever! 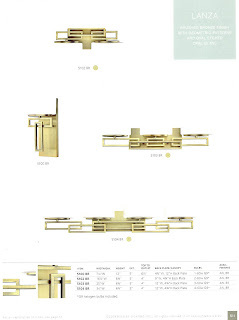 First of all, I think this fixture is gorgeous, but I'm also very intrigued by the finish. So they call it brushed bronze, but I think we used to call this color satin brass. My guess is they're trying to remove the negative connotation to the word "brass"! Whatever you call it, I think it's gorgeous!